There is more to Facial Pain Awareness than just trigeminal neuralgia. TN is not the only neuropathic facial pain condition. There are many other facial pain conditions that have never been individually recognized or singled out for recognition by any facial pain organization. Because they are so rare, those who have these conditions have had to reside under the umbrella of TN in order to find any community support or recognition. That is, until now. FPAA is serious about supporting all facial pain patients. We don’t just pay lip service to the inclusivity of the term “facial pain.” By creating Facial Pain Awareness Month, we are proudly giving voice to these other facial pain conditions: geniculate neuralgia, glossopharyngeal neuralgia, anesthesia dolorosa, cluster headache, paroxysmal hemicrania, SUNCT and SUNA. Please allow me to introduce Anesthesia Dolorosa Awareness Day on October 17th. TOMORROW! 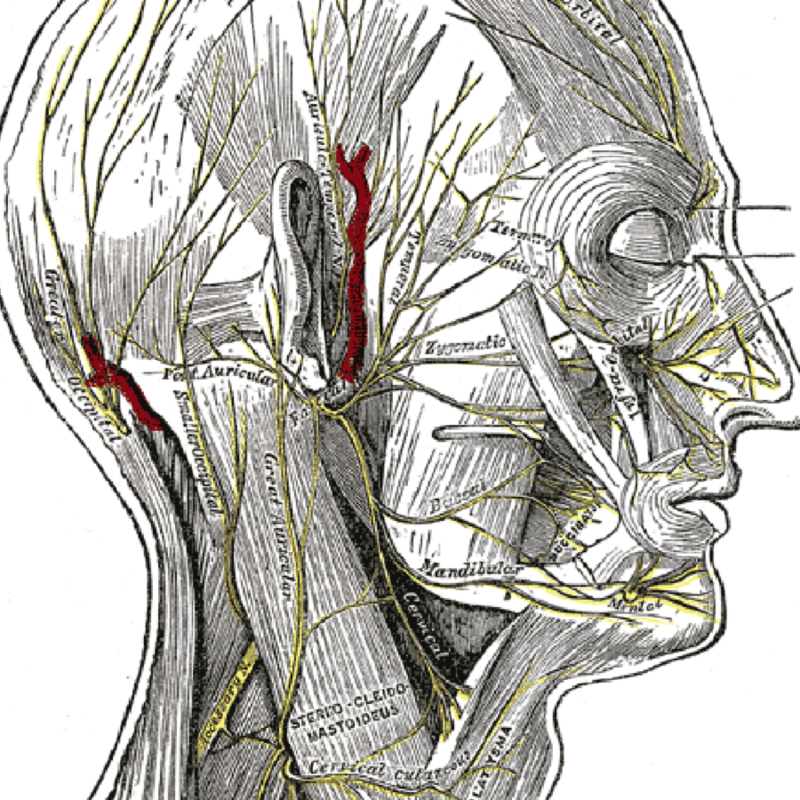 Anesthesia dolorosa (AD) and trigeminal deafferentation pain (TDP) are two other types of pain associated with the trigeminal nerve, unique in that they are caused not by a vascular compression, but by damage to the nerve. Dreaded even among trigeminal neuralgia sufferers, both are often intractable and resistant to treatment. TDP is only slightly different from AD in fact that the numbness is not always 100%. The medical term, “deafferentation,” means the elimination or interruption of sensorynerve impulses resulting from the destruction of or injury to the sensory nerve fibers. This nerve damage results in severe, unceasing pain. In many cases, AD/TDP is accompanied by sensations of parts of the affected area being pulled or tugged at, particularly in the teeth and gums. As it results from injury to the trigeminal nerve itself, it is almost always limited to one side of the face. Click on the image of the overlay of your choice to create a GN Awareness Day social media profile picture. Or right-click on the image below to save the image for use as a social media profile picture. Previous Post Glossopharyngeal Neuralgia Awareness Day! Want to see your own Warrior Card here? Email us at info@face-facts.org!